As we all know, most of the lipsticks are using beeswax in their formula.If you are a vegan , it might be a daunting hunt not just for food, clothing but also beauty selection too. 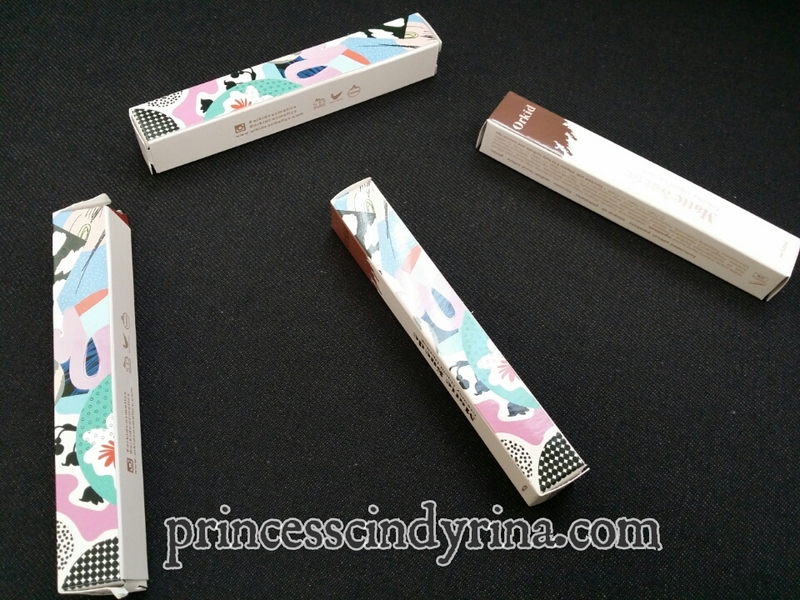 Recently, I was introduced by The Butterfly Project to vegan and cruelty free lipstick. Oh! 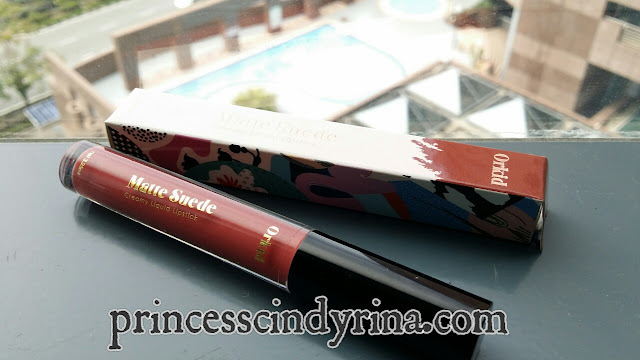 this awesome lipstick is born here in Malaysia. Whoa!!! 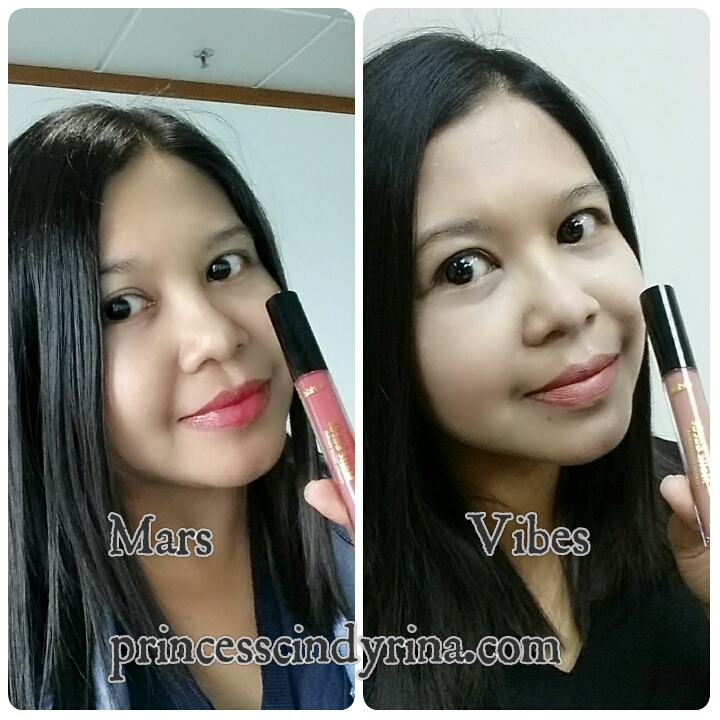 OrkidCosmetics.com created from scratched by the owner Raeesa Sya who is ambitious enough to provide good halal affordable makeup! She vouch on high quality, safe beauty product and affordable by all. I would say the packaging itself is chic and sleek for every occasion. I received 4 shades all together. I brought it to my day working trip in Labuan.I brought Mars with me. The rest of the color will make me look pale. Afraid people will think I look sick. hahaha.. Applied it in the morning and board my morning flight. 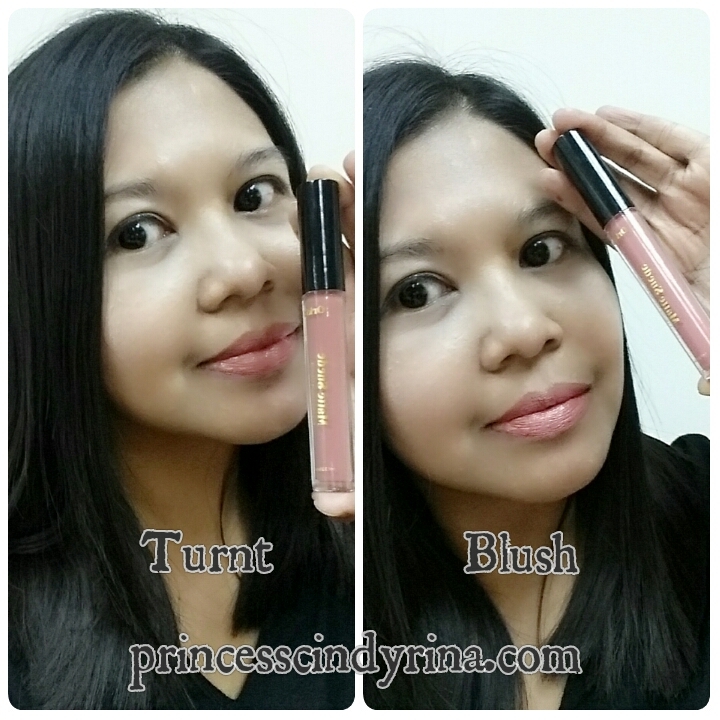 Orkid Matte Suede Creamy Liquid Lipstick impressed me. Seriously, I thought this will dry out my lips like any other brand I applied before. I swear...not this one! My lips still maintain its moisture through out the trip. I board the plane back to KUL at late night and seriously impress my lips was not even chapped through out the whole long journey. Like the owner said, you can get your money back if you find this sticky. Its not even sticky like any other liquid lipstick. I am glad to put this on. I don't get enough of this. Orkid will be in my handbag most of the time now. I was originally not big fan of any Matte Suede. I still using Mars because I love that color so much. I was thinking of offering the rest to my other sis who love that kind of natural colors. I applied all 4 colors for this review. See what I told you about looking pale. What do you think? Which orkid suit me better? Mar? Vibes ? Turnt? Blush? Let me know? For your information Orkid Matte Suede Creamy Liquid Lipstick is formulated without Parabens, Mineral Oil, Phthalates, Triclosan, Sodium Lauryl Sulfate and Gluten. Its enriched with Vitamin E to help hydrate and nourish lips. Well...this explained! Why don't you check out Orkid Cosmetics and get that chap lips moisture at the same time stay beautiful with all those Matte Suede Colors!! Great collection of colours.. More colourful for your lips.. Nice one.. I agree with you. Mars looks really good on you, though I think Turnt is not that bad! all so pretty color, not sure where to start. Mars suit you better. I personally love the colours so much. I like Vibes the most, but I think Turnt suit you best! Thank you! I should apply that more often then. The product packaging looks so nice, price is affordable too, good to buy as a present! Mars suits you the most! Great for both day and night use! And the price is friendly as well. I like the vibes, it compliments your skintone. Eow vegan lipstick! First time I heard about this and I cantwait to try them too. Are they available outside Malaysia? Yes. They are available even outside Malaysia. Just visit their website for more info. First impression on the packaging design, it is so so Kylie :O But then it is so much worth the buy haha! Such great shades. Oo...first time hearing of a 'vegan' lipstick. I love the colours. RM39 is pretty reasonable.